When the time came for me to select a cupcake recipe for our DC Cupcake Picnic, I knew I wanted something with a summer flare. As I browsed through my collection of saved cupcake recipes (I feel like I’ll never bake them all…) I was torn between so many different options. 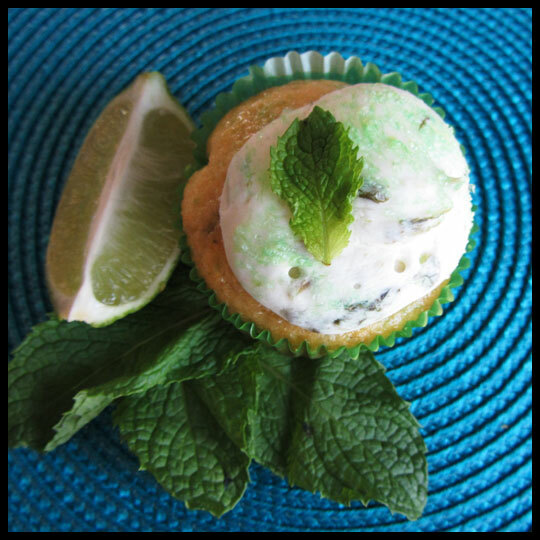 In the end, I settled on a cupcake inspired by one of my favorite summer drinks, a Mojito. This cake batter was super easy to make and only required a handful of ingredients. 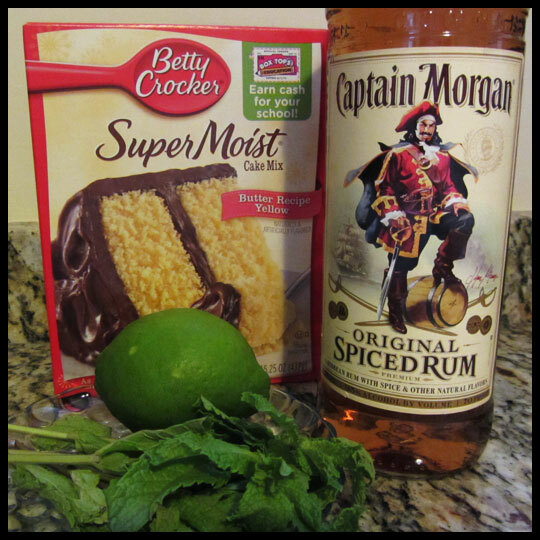 The result was a moist cake that contained a complex level of flavors with the lime, mint, and rum. That same recipe used a pre-made frosting, but since I recently decided that it’s easy to mix up and modify a simple buttercream frosting, I knew I had to find something else. 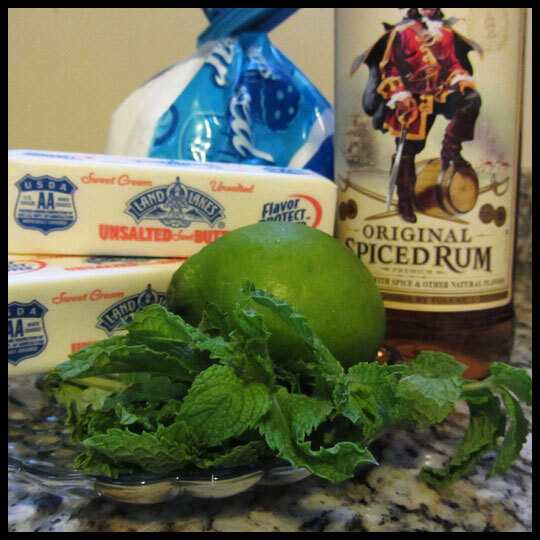 While I was searching for the perfect mojito frosting, I came across instructions for a rum glaze. After having the Piña Colada cupcake from Roland Park Bagel Co. which had some sort of rum glaze, I knew I had to give it a shot. 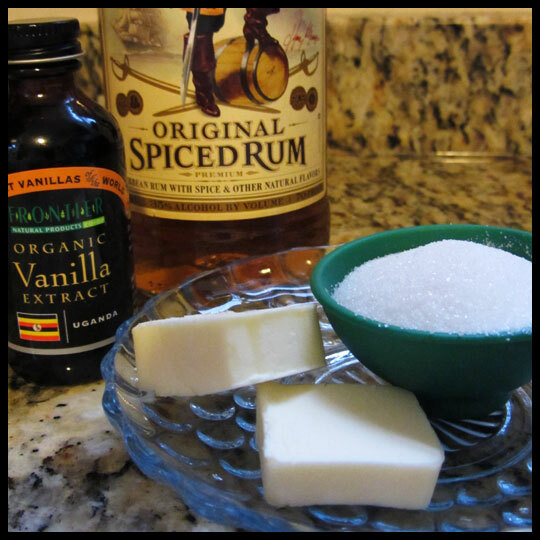 The rum glaze I found came from the Cupcake Villains’ blog and only contained 4 ingredients! While the cupcakes were in the oven, my awesome baking assistant (AKA: my good friend, Kerry) and I tackled the glaze. It ended up being easier than we thought, so we left it on a low heat while the cupcakes finished baking and moved on to the frosting. 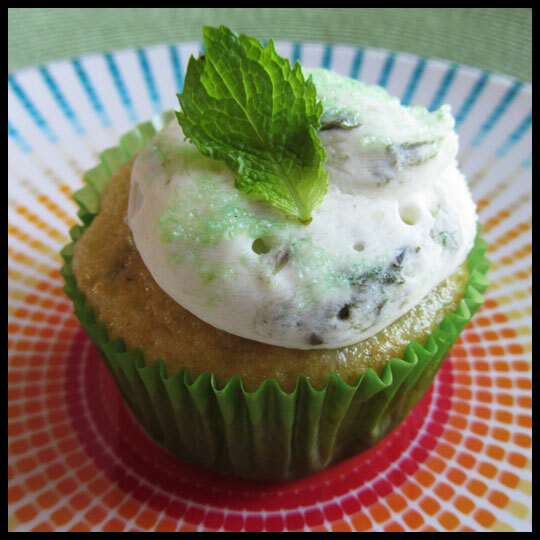 After finding tons of possible recipes to use for the mojito frosting, I decided to go with a recipe from Gooseberry Mooseberry. Her mint was WAY MORE finely chopped than mine was, so I’ll need to work on that, but overall, it turned out great. I modified her recipe by omitting the triple sec and adding in just a splash (about 1 teaspoon) of the dark rum. I did this for two reasons: 1.) mojitos have rum, and 2.) I didn’t have triple sec, but I did have plenty of dark rum. I thought the rum was a good addition because it helped cut the tartness of the lime juice and lime zest, which was a little overpowering at first. I really could not have been happier with the final results. Even my trusty assistant, Kerry, loved the cupcakes and she doesn’t even like mojitos. I would definitely call that a success. Even though Kerry and I decided they were amazing, the real test would be how everyone else reacted to them the next day at the cupcake picnic (especially the real bakers!). Luckily I received nothing but positive feedback, praise, and shocked faces when I fessed up to starting out with a box mix. Maybe I should start keeping that little secret to myself? 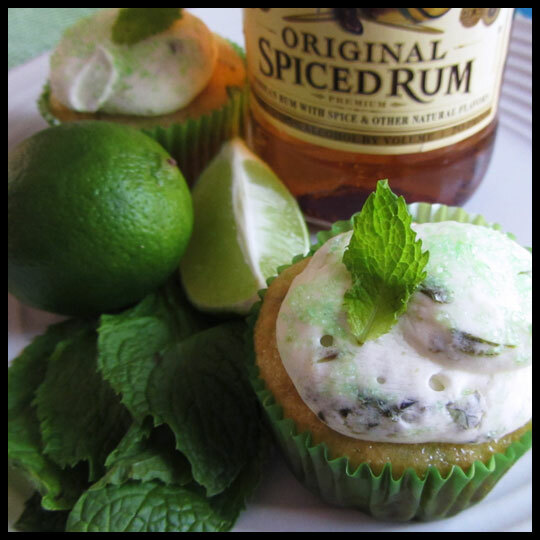 This entry was posted in Baking, Cupcakes and tagged Baking, Cupcake, lime, Mint, mojito, Picnic, rum by Stacy. Bookmark the permalink. This cupcake was so good! It reminded me of our homemade mojitos! 😉 And your photographs are amazing – so great in fact that my mouth is watering for a cupcake! Elisa, I would be lying if I said I didn’t want one of them right now! But the leftovers are all still in your freezer after the crazy power outage we had! Thanks Jamie! I was really happy with the way they turned out! The recipe was SO EASY too, you should definitely give it a try! Let me just say, the King LOVED this cupcake. You have inspired me to create a line of adult cupcakes! I will bring something to the next picnic. I’m so happy that you liked it so much! I can’t wait to try your adult cupcake creations! Mojitos are one of my favourite cocktails and these look delicious! Thanks Baking Addict! They really were fantastic, but I have to give all the credit to the bloggers and bakers whose have made their recipes available for everyone! Thanks for reading! Yum! Now this a cupcake that needs to be made every summer. When do you put on the glaze? Hi Cheryl, Sorry to just now be responding. I put the glaze on after the cupcakes had cooled, before frosting. I hope this helps. Thanks for visiting!